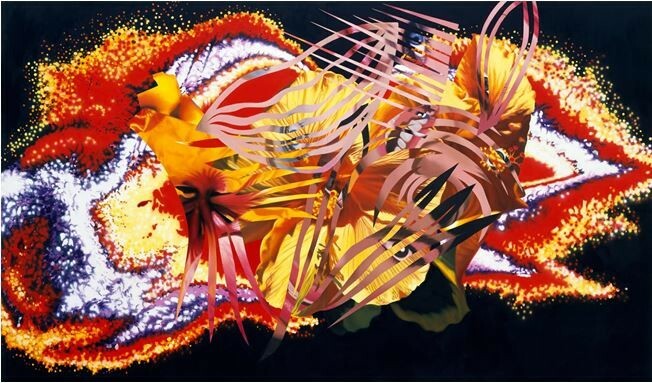 ROSENQUIST, JAMES. (1933-2017). Seminal American pop artist. TLS. (“James”). 1p. 4to. Aripeka, Florida, March 1, 1991. 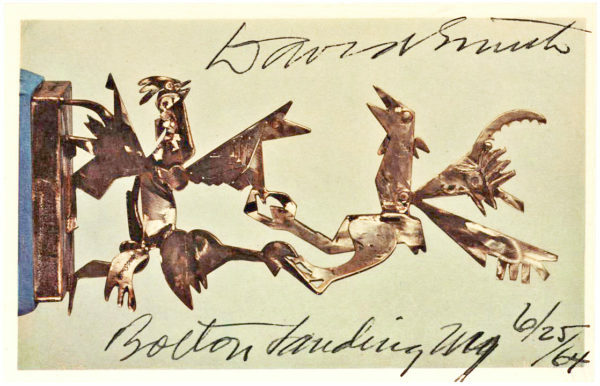 To businessman and art collector FRED HOWARD (1922-2008). “We have just returned from Moscow after installing sixty-two paintings at the Central House of Artists’ Tretyakov Gallery in which your painting was included. The exhibition opened February 5th. We are very happy to report that the transportation of paintings by kunstspedition apv. to Moscow went smoothly and uneventful. The weather was cold, but the Museum was warm inside because there is no lack of oil in that country. Inside the Museum, the Fire Department men and women, dressed in their olive drab uniforms, were very strict. The Museum Guards were numerous and they positioned guard ropes in front of a number of the paintings. Anna, the lady engineer, continued to check our hanging cables for the 17’ x 46’ paintings. It was a tremendous installation at the Museum. After three days it looked like my five men couldn’t install it and light it on time. Then the Russians came in and installed thousands of feet of electrical track and lit the exhibition. We asked them what we could do for them and they said they’d be happy if we could get them walkman radios. The Artist’s Union and the Museum staff were wonderful. Even with all the problems and shortages they have, they helped us with all their heart and soul. Communication to the Soviet Union and inside the Soviet Union is difficult, even telephoning across town. Even though one needs permits to travel inside the Soviet Union, the Artist’s Union had hundreds of calls requesting group permits to visit the exhibition. Seven Hills Productions has filmed the exhibition from start to finish and they will be producing a half-hour to and [sic] hour film on the exhibition and the terrible temper of the times because we arrived in Moscow the day the war in the Gulf and the demonstrations in Lithuania started. It was an exciting time and I’m happy to report that the paintings are safe and well taken care of. 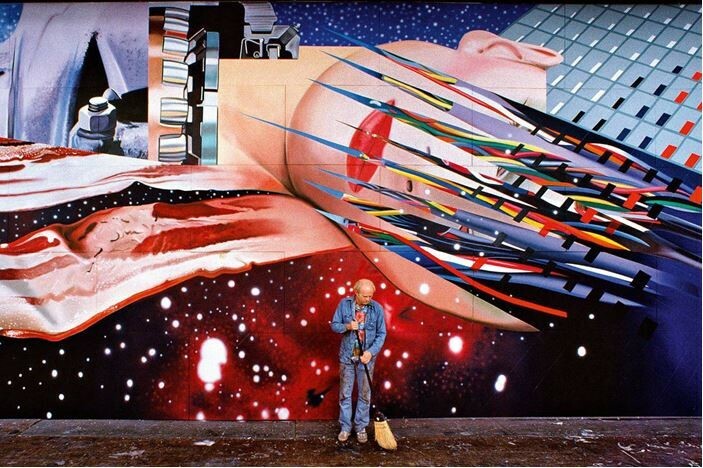 Rosenquist began painting billboards at age 18 and, despite his ambition to become a mural painter, he moved to New York City to study with artists such as George Grosz, eventually joining the International Union of Painters and Allied Trades, painting Times Square billboards and window displays for prominent designer Artkraft Strauss before focusing on his own art in 1960. The commercial images that he painted deeply influenced his art which was awash with advertising and mass media imagery. 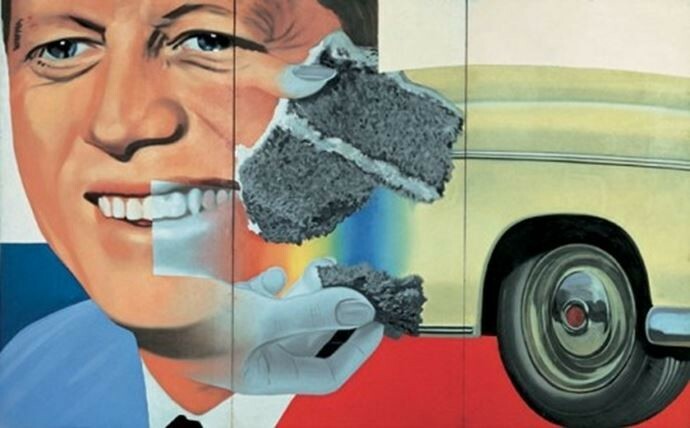 His colossal collages juxtaposed seemingly unrelated subjects and explored the themes of American consumer culture. 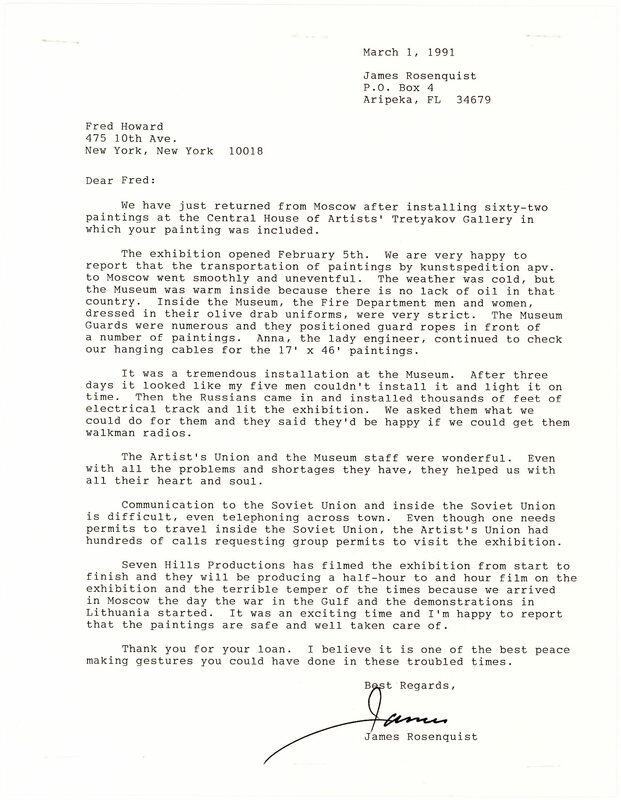 Our letter discusses a February 1991 exhibit hosted by the Moscow’s venerated State Tretiakov Gallery, Central House of Artists entitled Rosenquist: Moscow 1961-1991. Operation Desert Storm, military action taken by the United States against Iraq for its annexation of Kuwait, began January 17, 1991, just a few days after the January Events in Lithuania where clashes between Lithuanian protestors and Soviet troops led to the deaths of 14 civilians. Lithuania had been occupied by the Soviet Union since 1940 and declared its independence in 1990. The Soviet Union itself dissolved in December 1991, and self-governance was granted to each of its republics including Lithuania. The Artists’ Union of the USSR was active from 1932-1992. Howard had been a member of the Ritchie Boys, American soldiers, a large number of which were German-Jewish refugees, who, after their training at Camp Ritchie in Maryland, interrogated enemy prisoners and conducted espionage during World War II. After the war, Howard founded a merchandizing and design company and made marketing history when he developed the egg-shaped packaging for Hanes pantyhose, dubbed Leggs. 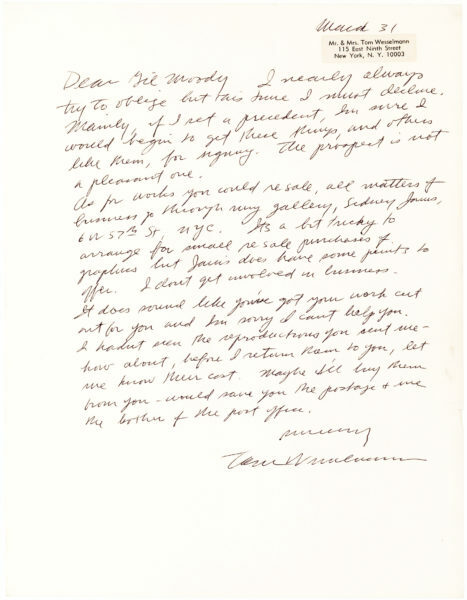 Our letter pertains to the loan of one of Rosenquist’s paintings in Howard’s possession. Folded once with three neat staple holes along the top edge. 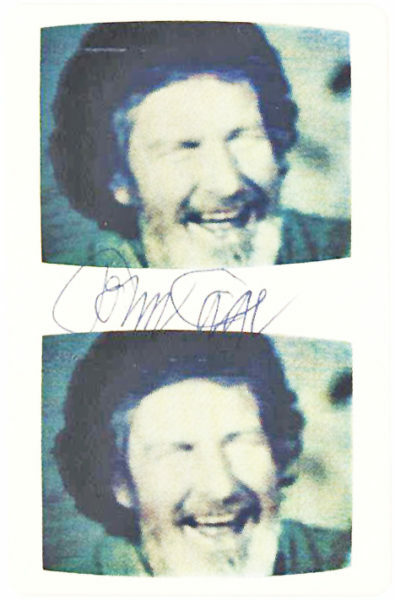 Signed in black ink and very fine. Flowers before the Sun, 1989. Coll. of Fred Howard, Howard Int. Corp.